Welcome! 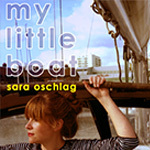 My name is Sara Oschlag and I'm a Danish vocalist resident in Brighton, East Sussex. 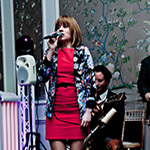 I've been a professional singer since 2003, performing live music with my jazz bands all over the UK, Europe and America; performing in jazz groups at weddings, corporate events, birthdays, private parties and anniversaries, as well as hotel residencies, cruise ships, jazz festivals, jazz clubs and more. 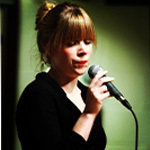 I sing in a variety of bands, all available to hire through Sara Sings Jazz. 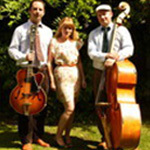 We are professional, experienced jazz musicians, who can play to suit the mood of your event, whether it's relaxed jazz and bossa nova for your wedding reception or up-beat swing for the company Christmas party. 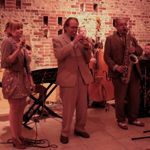 If you are looking to hire a professional live jazz band to play at your special occasion, then check out the VIDEOS and MUSIC links lower down on this page. Hire one of the jazz bands I perform with – listed below – to make your special occasion extra special! If you have any questions or if you would like some help choosing the right band for you, please get in touch by email: sara@sarasingsjazz.com or call me on 07748 386706. 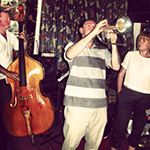 We are very flexible, and I'm sure we can create the perfect jazz band for you! For more insights and up-to-date news, please check out Twitter or follow my blog on Tumblr. Vocals with guitar and double bass. An excellent choice for your wedding reception, private party or music festival. We don't take up much room and can set up and pack away in 10 minutes. The whole band fits in one car, which makes SO trio a great choice economically and environmentally. We are also available as vocal and guitar only; called SO Duo, which suits most spaces and budgets. Add saxophone to give a fuller sound. Suits the same events as SO Trio. This is the band for you if you also want to get up and dance. 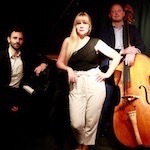 Both SO Trio and SO Quartet play songs from the repertoire of jazz standards and classic bossa novas. This is a popular gypsy jazz band that I sing with. Two guitars and double bass in the Hot Club of Paris style. Great option for your wedding entertainment or themed party. A spectacular 1930s and 40s swing band, playing music from the big band era. Think Glen Miller, Duke Ellington and Count Basie - think The Great Gatsby.The band comes in various sizes, depending on your needs. This band is perfect for dancing as it can include drums. 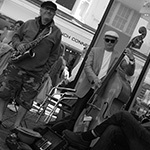 Three-part harmony vocal group backed by a jazz trio consisting of saxophone, guitar and double bass. Original arrangements and harmonies - enhancing and re-inventing established songs from the jazz and bossa nova repertoire. This group suits more intimate settings. SO Trio - Showreel Live recording, showcasing our repertoire and arrangements. 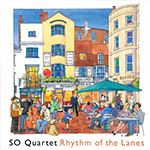 SO Quartet – ‘Let there be Love’ Recorded at The Verdict Jazz Club, a great song for a first dance! Rockin’ In Rhythm – ‘At Last’ Recorded at The Verdict Jazz Club, a classic jazz tune with a beautiful horn arrangement. 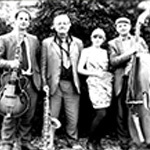 Jonny Hepbir Quartet - ‘Take the A-Train’ Recorded in the studio - Fantastic jazz arrangement. Nice and up-beat number. Jonny Hepbir Quartet - ‘Live medley’ A live jazz recording. A medley of some great numbers. Three Little Birds - ‘But Not For Me’ Recorded during “Live Jazz Livingroom” Original arrangement of a well-known jazz tune. "Hi Sara, We had the most amazing day and both the bands were brilliant! Even the staff at Caravan said how much they enjoyed the music. Thank you for your help in organising it. Many thanks, Anna"
"Hi Sara, many thanks to you and your group. Stan and I are still humming 'I Get A Kick' 3 weeks later! Can you tell me how to buy your CDs? SO Quartet created a lovely atmosphere last Saturday - the perfect balance! Will definitely have you back next year! Thanks again, Michael"
"Dearest Sara, Thank you very much for making my surprise birthday so special! Everybody kept talking about you for weeks after and John was really impressed with your professionalism and utter charm. Same time next year? Kind regards, Ellen, John & the family"
Fudgies Sara Oschlag & friends 8pm - 10pm "Great atmosphere & food"
Trading Boundaries UCKFIELD SO duo 11.30am - 2pm. 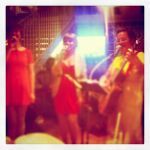 for gig news and events! £12. Costs incl P+P to UK, if you are overseas please email us. © Sara Sings Jazz copyright 2019.